Submit your event on Chemokines-Cytokines to be featured. 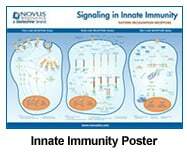 Cytokines are small, hormone-like, class of small proteins/signaling peptides generated de novo by cells and besides their critical role in the regulation of inflammation/immunity, they are now well known for their ability to modulate cellular activities such as growth, survival and differentiation. 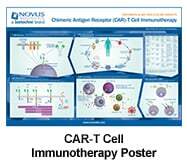 They were originally thought to be produced by lymphocytes/monocytes only, however, studies later on established that any nucleated cells can generate and secrete cytokines. Various cytokines act via binding to their respective membrane receptors, which then activate second messengers for altering the target gene expression. Cytokines are broadly classified into categories such as chemokines, interleukins (IL), colony-stimulating factors (CSF), tumor necrosis factors (TNF), interferons (IFN), transforming growth factors (TGF) etc. Chemokines represents the largest family of cytokines and based on their biological function, chemokines are divided into two categories: (i) Homeostatic chemokines which are typically expressed constitutively and are involved in immune surveillance as well as navigation of cells through hematopoiesis (ii) Inflammatory chemokines which are produced during infections or as a result of an inflammatory stimulus and facilitate an immune response by targeting cells of the innate/adaptive immune system. 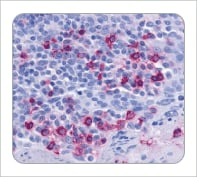 More than 40 chemokines exhibiting various pathophysiological properties have been characterized so far to be linked to different activities including regulation of inflammation, allergic/autoimmune disease, haemostasis, cell adhesion, phagocytosis, cytokine secretion, cell activation, cell proliferation, cell survival and cell death, apoptosis, angiogenesis, and proliferation. 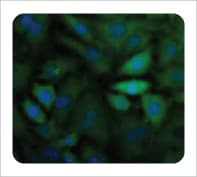 IHC staining of a formalin fixed paraffin embedded human tonsil section using this CCR6 antibody at 2.5 ug/ml concentration. 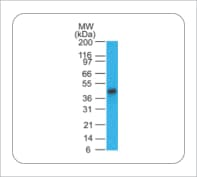 Simple Western lane view shows a specific band for CCR10 in 0.5 mg/ml of MCF-7 lysate. This experiment was performed under reducing conditions using the 12-230 kDa separation system. 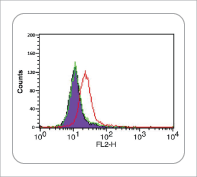 Flow analysis of HeLa cells using CXCR4 antibody. Purple: cells without staining, Green: Isotype control. 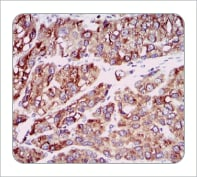 Red : CXCR4 antibody. 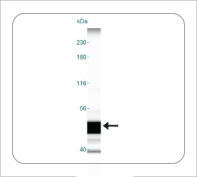 ICC-IF analysis of CX3CL (green) in HeLa cells using CX3CL1 antibody . Nuclei (blue) are counterstained using Hoechst 33258.